The Kitchen's recent post on pressure cookers just made me think again about these time saving appliances. I guess our little city apartment doesn't really have room for yet another kitchen appliance, but it certainly would make all kinds of dals and curries come together a whole lot faster! I remember ribbing on my aunt-who-lives-in-India when she was worried about my cousin-who-moved-to-the-US being able to cook dinner without a pressure cooker. Now, I want to take back the rolled eyes and say "You were right! HOW can one cook without a pressure cooker?!" The answer is: slowwwwwwwwly. Very. Very. Slowly. In fact, in India a pressure cooker is a handy way to reheat foods too! Probably a bit healthier than consuming microwaved foods as well, I suppose. 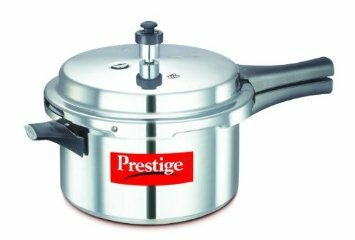 This Prestige Pressure Cooker is more in the Indian style - the Fissler is a little sleeker and prettier methinks. 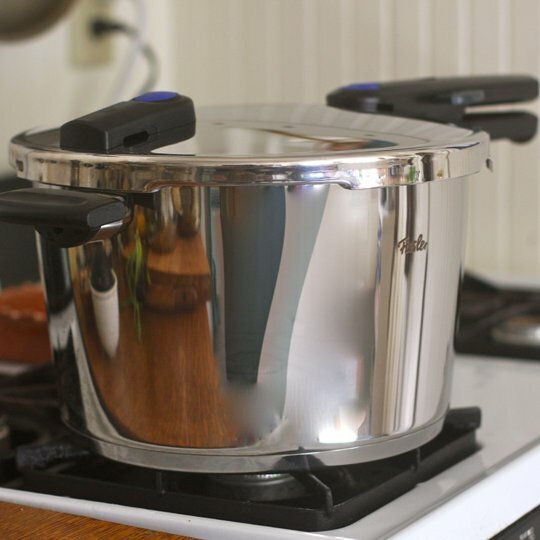 Do you use a pressure cooker? And if you're thinking of getting one, read this.